The growth of the industry may be hampered by the impending budget sequestration. Along with the auto industry, aerospace, aviation and defense form a vital technological backbone of the U.S. economy. Heading into 2013, these sectors are receiving considerable attention at the national level as the Obama Administration and Congress debate fiscal policy. Yet despite uncertain budgets, technical growing pains and increased competition, the growing demand for more efficient aircraft, as well as the widespread digitization of the industry are opening up new opportunities for manufacturers, suppliers and communities alike. Booz & Co. estimates that the backlog of orders for large, commercial fixed-wing aircraft stands at 8,000 and growing. They also note that new product development is on the rise and the depressed market for business jets is recovering as corporate profits and financial markets improve. At press time, the issue of sequestration had yet to be resolved. However, it’s clear the stakes are high. Aerospace manufacturing encompasses nearly 3 percent of the nation’s manufacturing workforce, employing hundreds of thousands of Americans in high-skill, high-wage jobs. According to the AIA, overall sales in 2012 are projected to have increased by 3.4 percent from $211 billion to $218 billion, aided by strong civil aircraft sales. Sales for 2013 are projected to reach $224 billion, shored up by commercial aircraft. 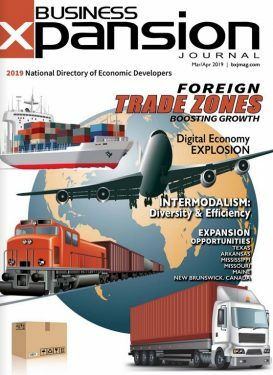 Export growth last year was solid, rising from $85 billion in 2011 to an estimated $96 billion, with direct employment up slightly from 625,000 in 2011 to a projected 629,000 in 2012. Dampening the uptrend is the looming budget “sequestration,” a general cut in government spending, which would trigger automatic annual spending cuts from now through 2021, with approximately half from the defense budget and the other half from non-defense discretionary spending. This would be in addition to the $487 billion in cuts already dictated by Budget Control Act of 2011. At press time, the issue of sequestration had yet to be resolved. However, it’s clear the stakes are high. Aerospace manufacturing encompasses nearly 3 percent of the nation’s manufacturing workforce, employing hundreds of thousands of Americans in high-skill, high-wage jobs. The Congressional Research Service reports that more than half (61 percent) of the nation’s aerospace industry jobs are concentrated in six states: Washington, California, Texas, Kansas, Connecticut and Arizona, with additional clusters centered in Florida, Georgia, Ohio, Missouri, Alabama and South Carolina. Across the country, McGrath says, the phase-out of older aircraft is accelerating, resulting in a trickle-down effect. As aging aircraft are sold off, operator demand for maintenance services is increasing, in turn creating new overhaul and repair opportunities in the MRO market. One of the leaders in this sector is the Corpus Christi Army Depot, south Texas’ largest industrial employer and the largest helicopter repair facility in the world; it serves the U.S. Army which is upgrading its entire fleet of UH-60M Black Hawk and AH-64 Apache helicopters. Last fall, CCAD officially opened its doors to military unmanned aircraft with its first Unmanned Aircraft System (UAS) modification program, marking a departure from CCAD’s typical product line of helicopters and their components. If all goes well with the Shadow Tactical Unmanned Aircraft System program, it could mean more unmanned aircraft work for CCAD in the future. To boost efficiency and help meet such demand, the depot recently began the first of a nine-phase, $300-million renovation project to overhaul nearly all of the facility, much of which dates back to World War II. In the Pacific Northwest, Washington state continues to be a major force in the aerospace and aviation industries. Boosted by initiatives like the Washington Aerospace Partnership, more than 800 aerospace companies operate in Washington, employing more than 123,000 workers including 6,550 aerospace engineers. Industry heavyweight Boeing — which predicts global markets will need 34,000 new planes during the next 20 years — continues to be a critical market driver. The company will build its new 737 Max model while increasing production of all 737s at its 225-acre site in Renton, Wash., stepping up projected output from 38 per month in Q2 2013 to 42 by Q2 2014. In nearby Kitsap County, a long track record of supporting the Puget Sound Naval Shipyard’s specialty manufacturing needs, an active workforce development and a receptive local culture, are allowing Boeing’s key suppliers to ramp up quickly to meet the new demand. The South Kitsap Industrial Area and local sites at the Port of Bremerton and Bremerton National Airport can meet Boeing suppliers’ specific requirements with 3,400 acres pre-zoned for industrial use, including pre-existing runway and road infrastructure. Land and construction costs are lower relative to averages in the region, and much of the master planning and preliminary environmental work for the site is done or underway. Thomson points out that for Boeing’s key suppliers, there is capacity both on-site and in nearby industrial parks and other properties, along with multi-mode transportation access via railways, airport, a highway system and two deepwater ports, which include a designated Foreign Trade Zone. The site is just 18 flight miles from Boeing field, a one-hour drive from Renton and 45 minutes from the SeaTac International Airport. As next-generation aircraft require lighter, stronger and more efficient materials, the surrounding Olympic Composites Corridor — stretching from Port Angeles to Bremerton — offers an attractive suite of advantages: college-level composites manufacturing training, a marine laboratory, multiple composites businesses, new manufacturing facilities, autoclave availability and airport-adjacent industrial facilities and buildable land. One of the issues affecting the future of the commercial sector of the industry is an aging aerospace workforce. Countering this trend in Tacoma-Pierce County, Wash., is the WorkForce Central Manufacturing Academy, a nine-week, 35-credit program designed by local employers to recruit and prepare workers for manufacturing and aerospace careers. Employers hire directly from this talent pool for positions in production, machining, and assembly. The key to this and other area programs is directly involving local manufacturing leaders and taking advantage of the right talent, says Chris Green, vice president for business retention and expansion, Economic Development Board for Tacoma-Pierce County (Wash.). “We have a large number of military veterans who already have the skills and mindset that’s well-received by industry here,” he says. “With our connection to the Seattle aerospace market which is known around the globe, I think we’re very well positioned for future prosperity in the industry,” Powers says. “It’s in our culture to innovate and build sophisticated things, so we’ve got something here in Kitsap to offer not just to the region, but to the entire United States and the world.